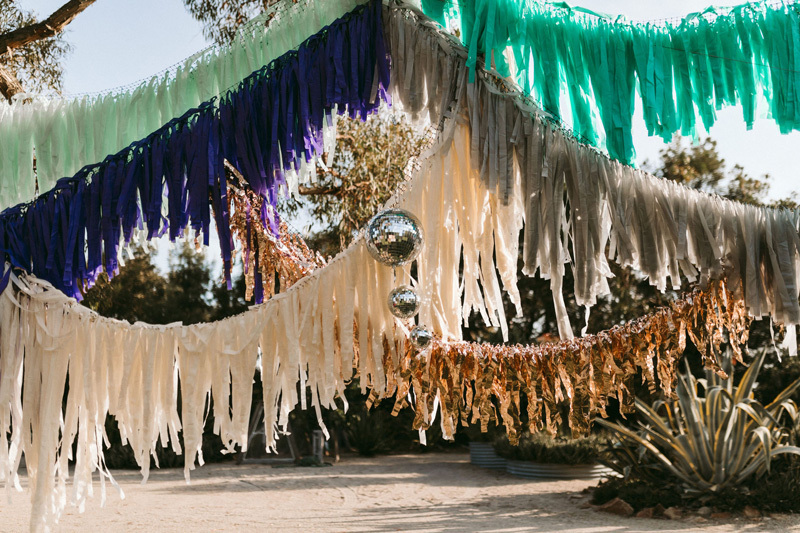 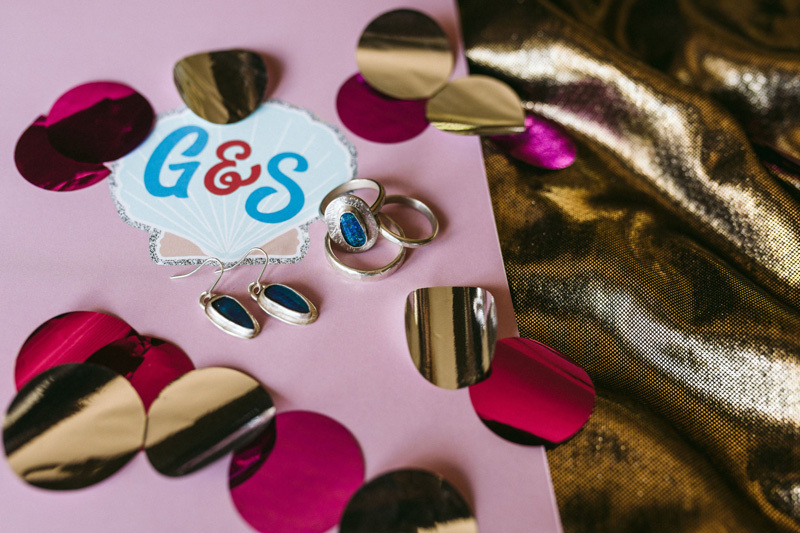 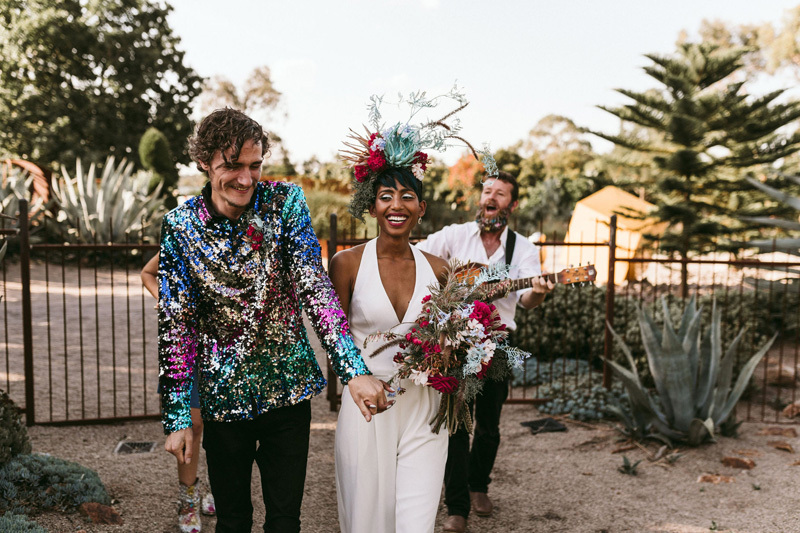 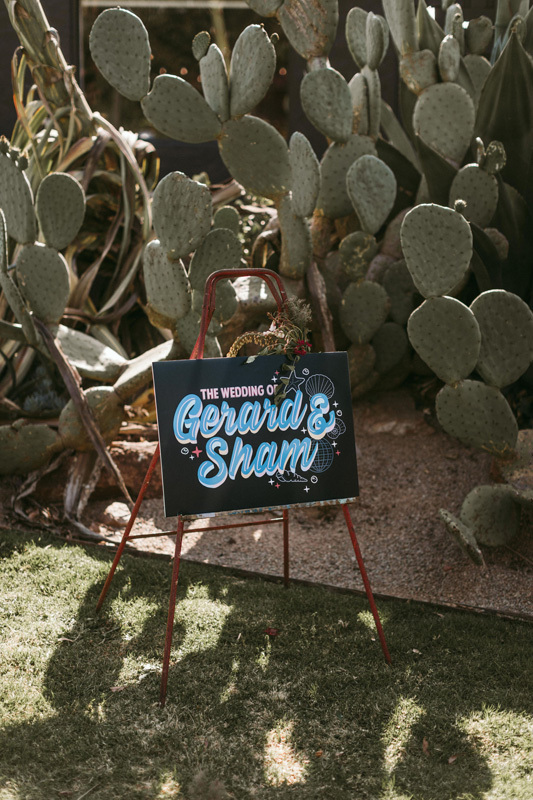 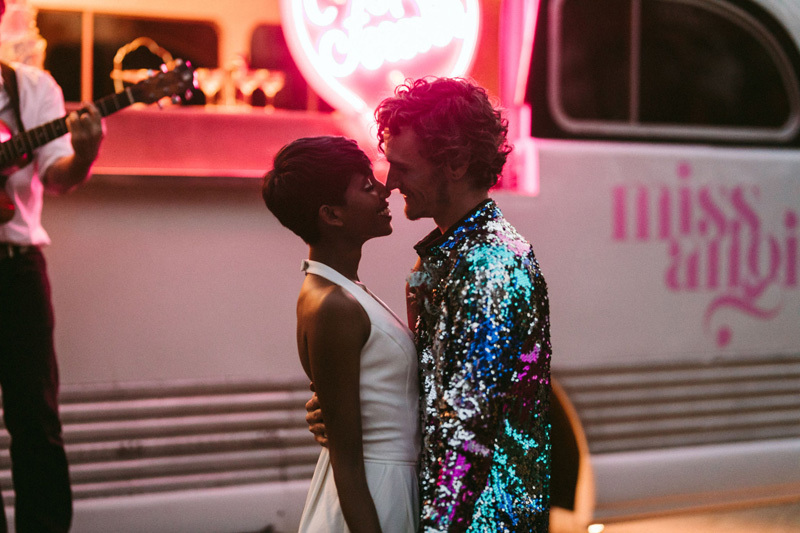 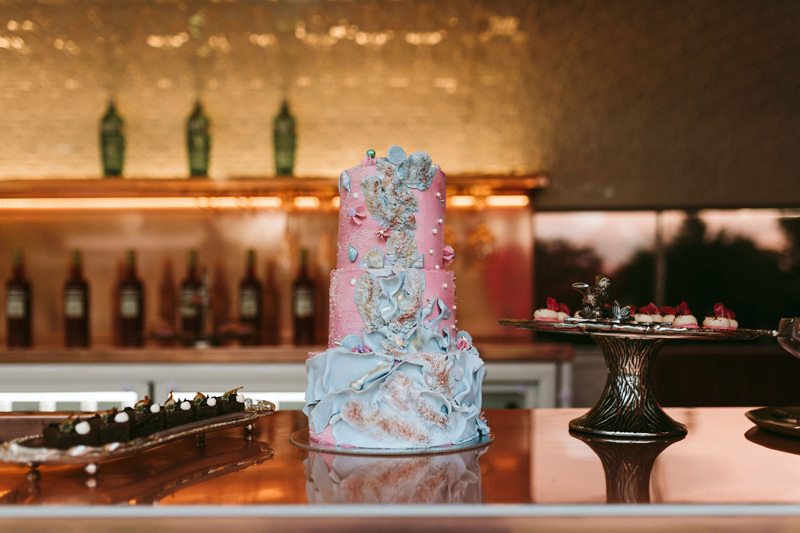 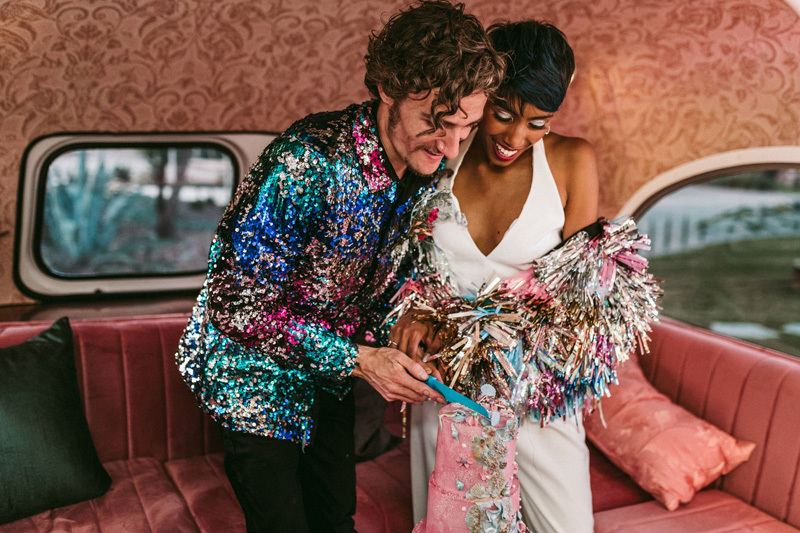 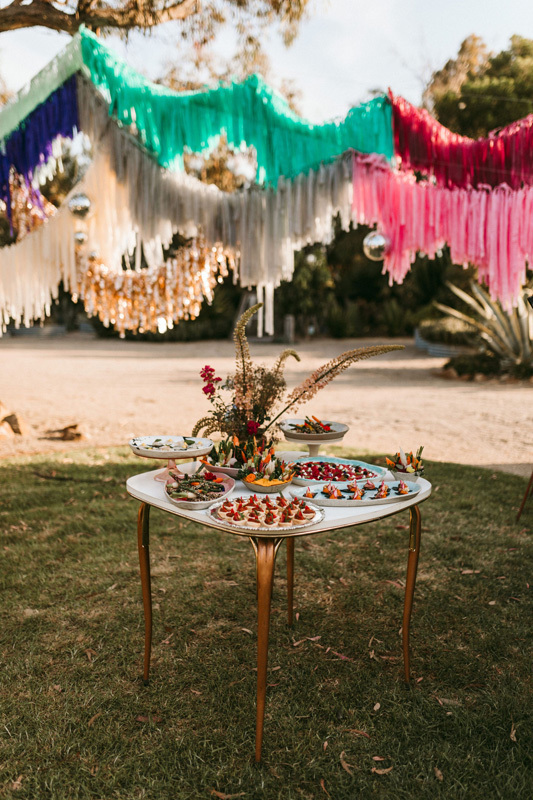 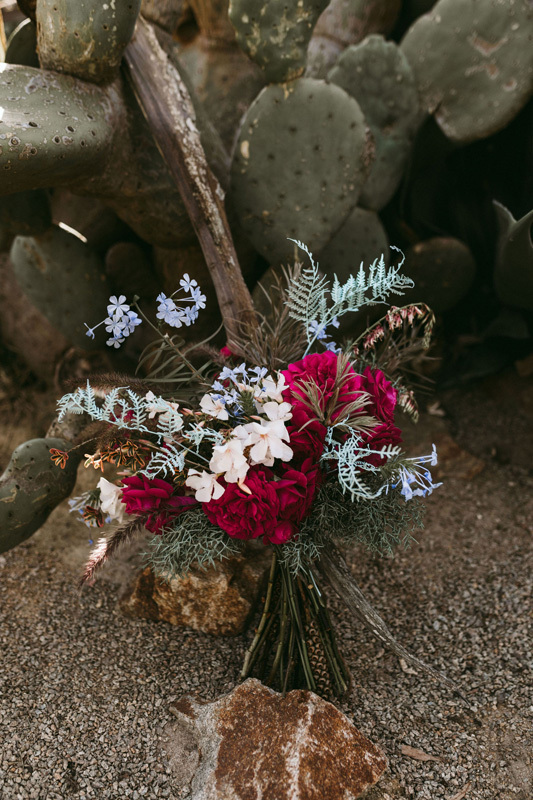 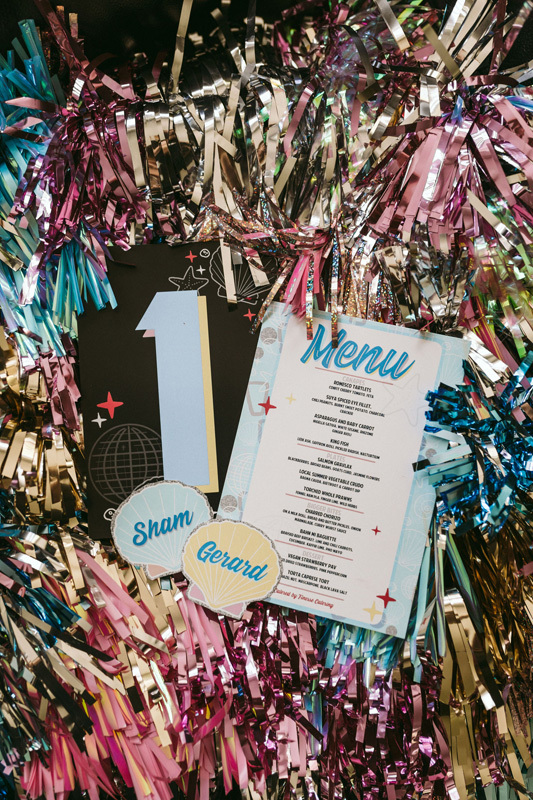 If you’re looking for some inspo for a super bright, colourful, and fun wedding with a dash of edge, then we think this styled shoot should spark your creativity. 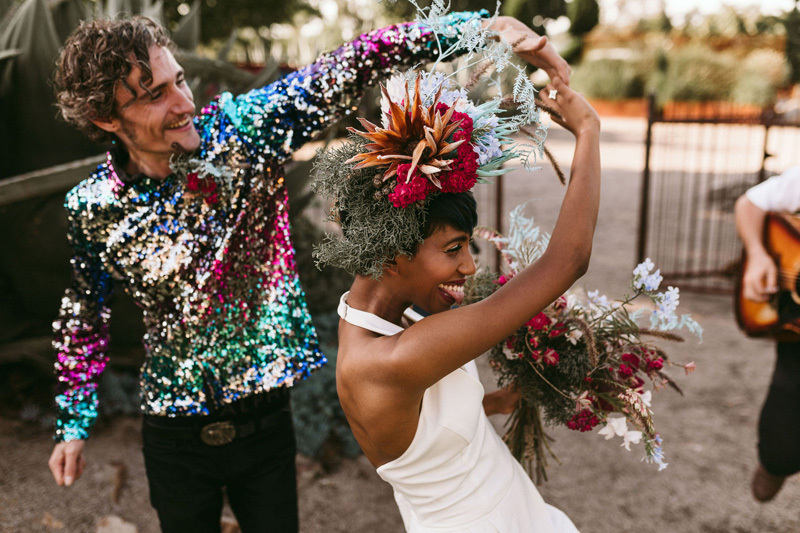 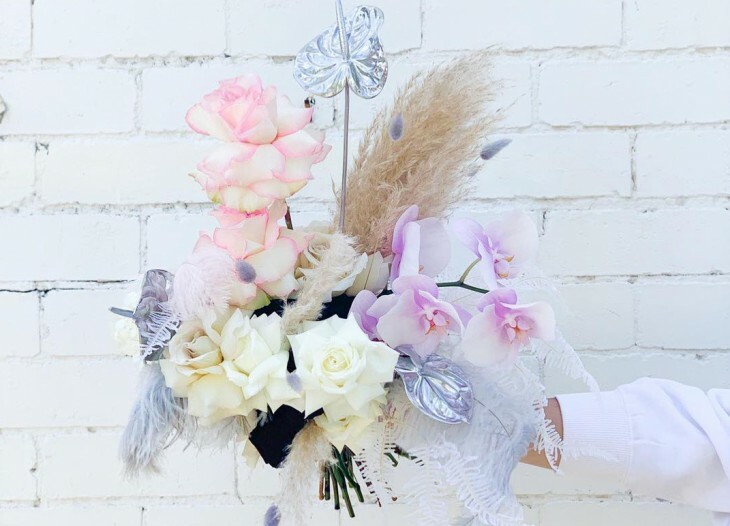 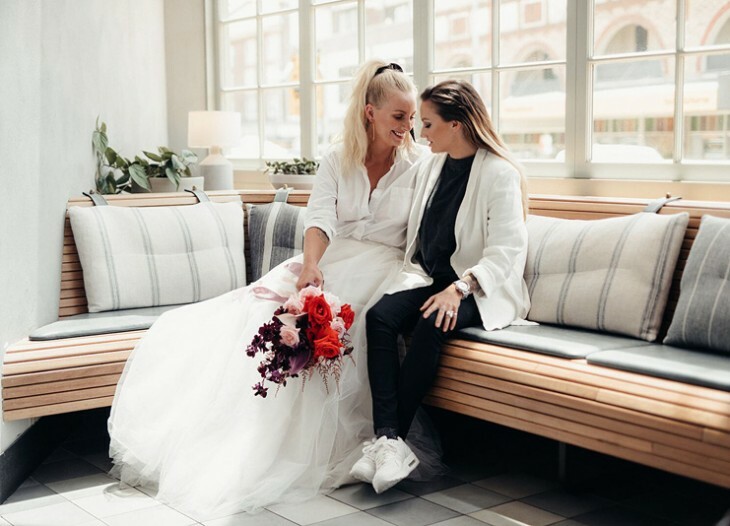 The insanely talented Kate Forsyth from Good Day Rentals is the creative genius behind this shoot, and we picked her brain to learn more about the inspiration behind the images. 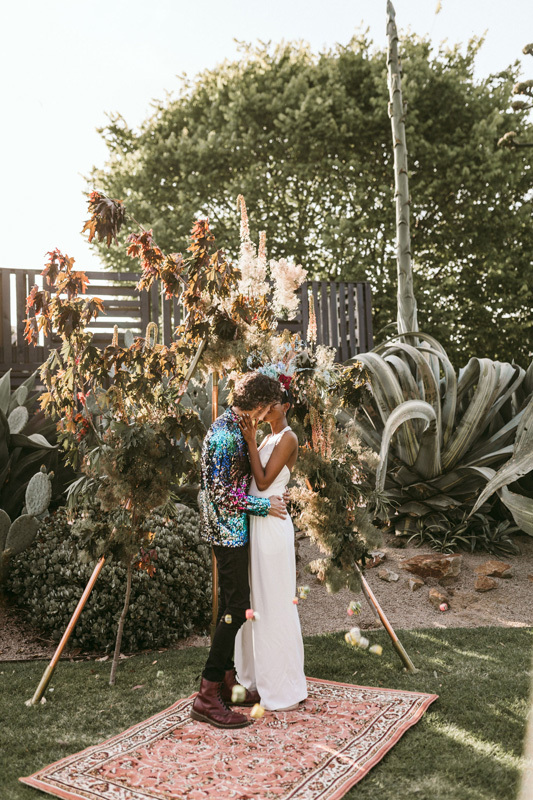 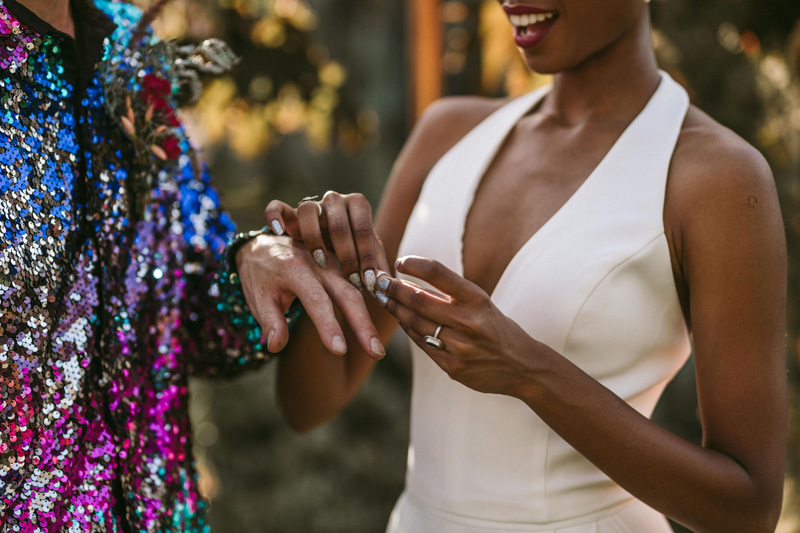 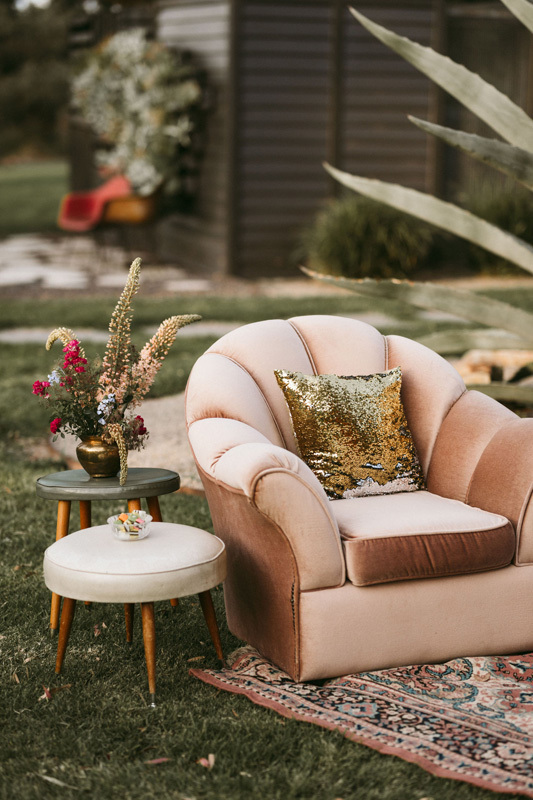 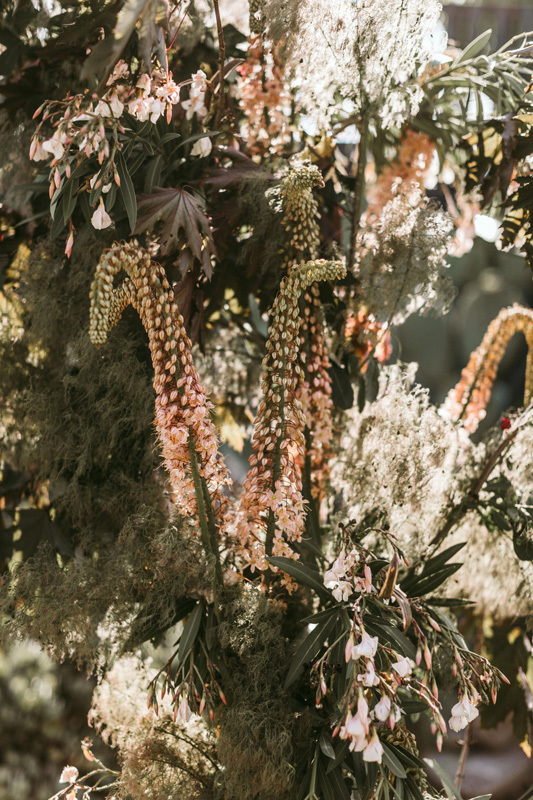 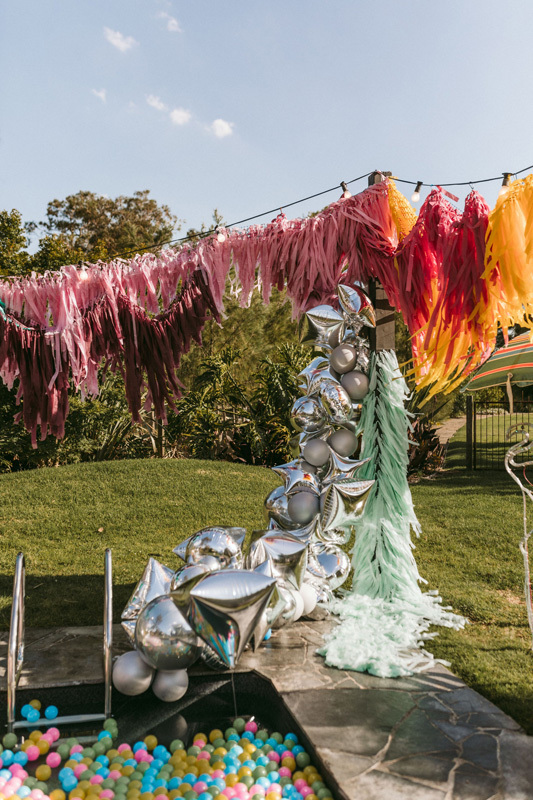 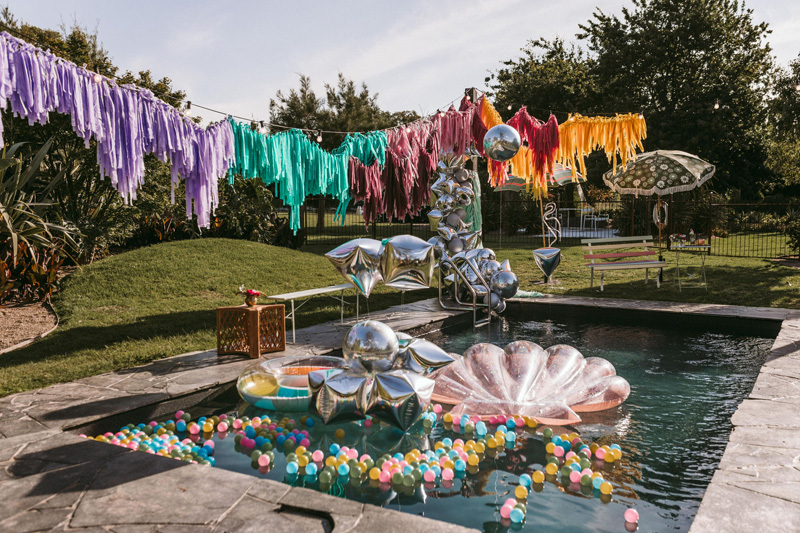 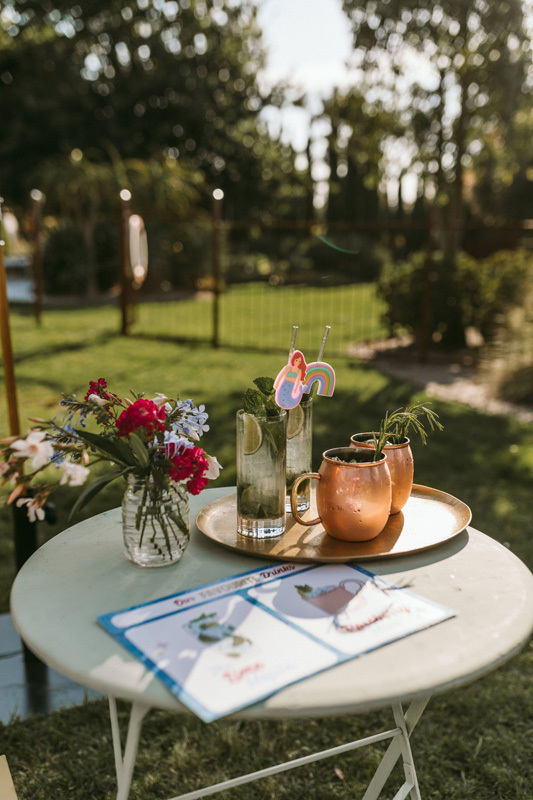 Set amongst the lush green gardens of La Serre, the garden location is contrasted with glitter, sequins and all things fun. 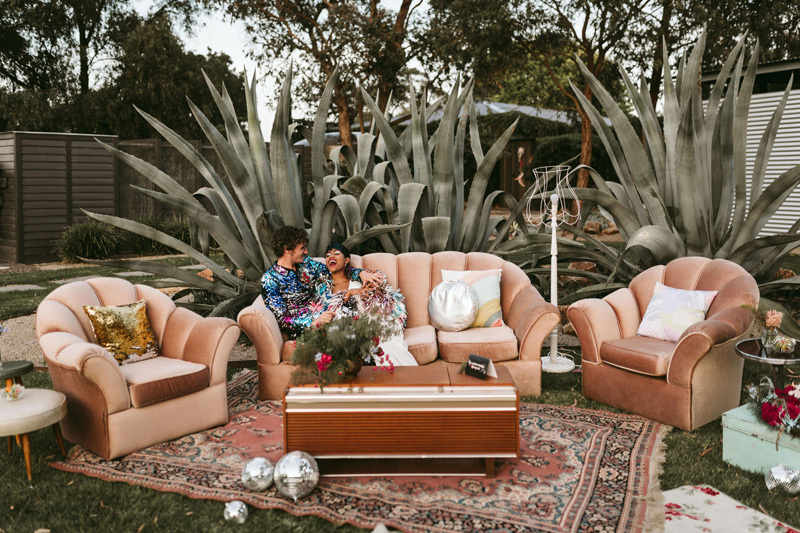 Kate specifically styled this shoot around the glamorous Miss Angie Bar—a 1960s revamped Bedford Bus. 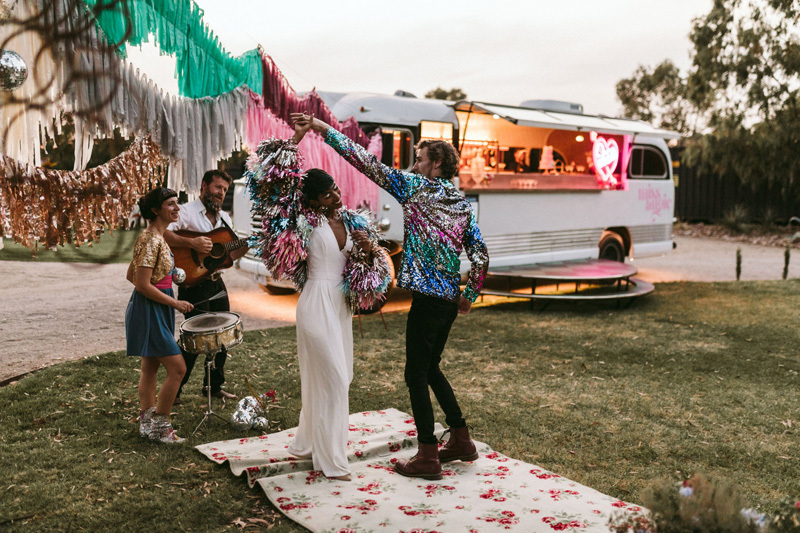 The bus was definitely added an instant wow-factor, setting the scene for fun-filled festivities. 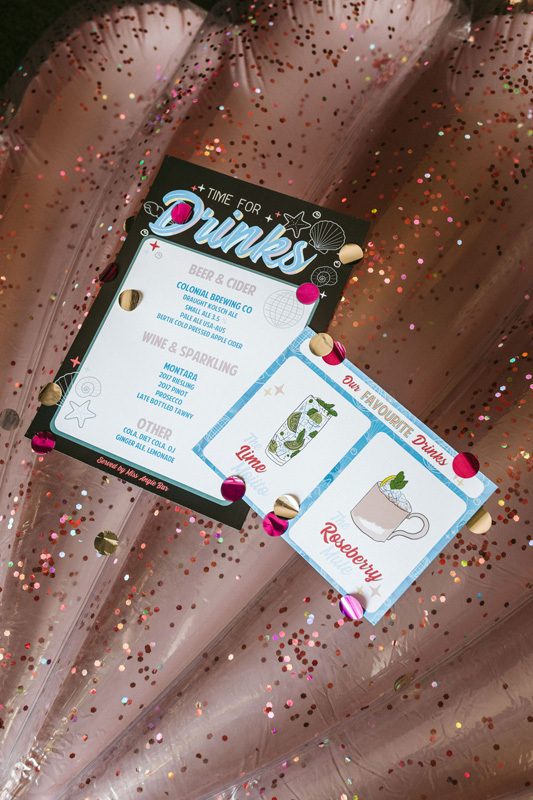 With a fabulously designed cocktail bus, there was no doubt the drinks would match. 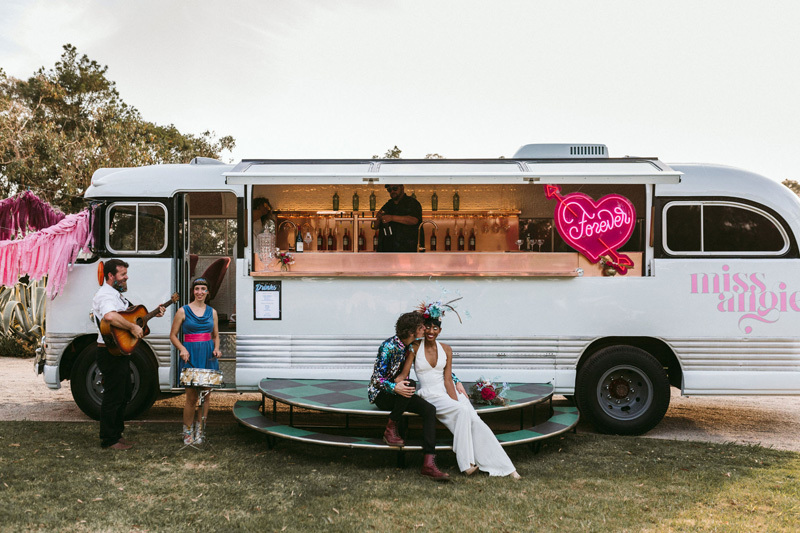 The beverage menu catered to all palates and supplied an array of options from lime mojitos to Colonial Brewing beer and cider poured straight from the bus’s copper beer taps. 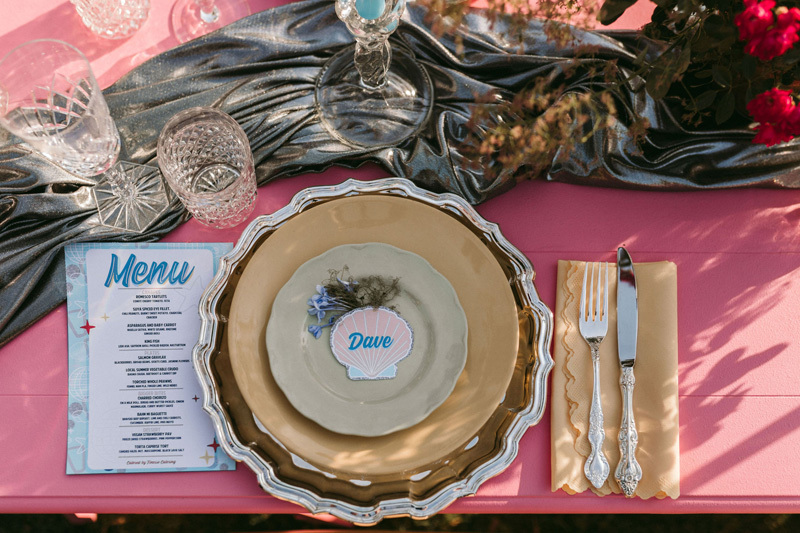 Completing the theme were 60s inspired touches to the bride and groom’s outfits. 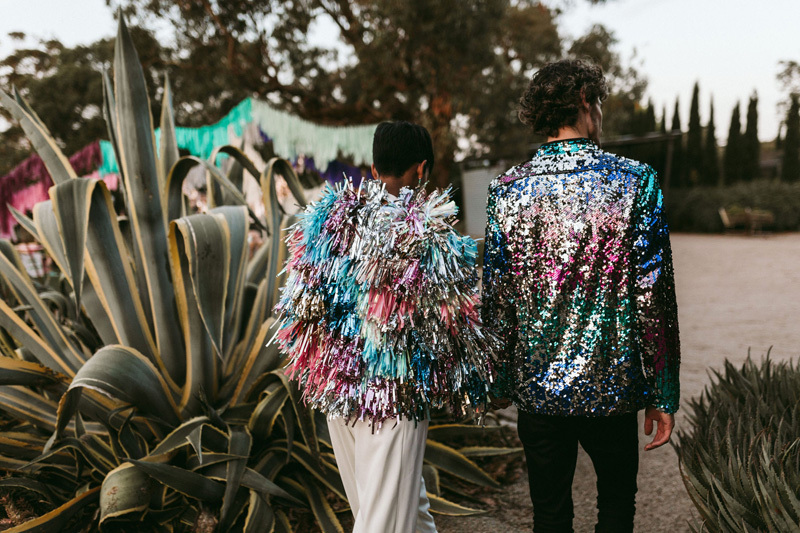 Sparkly is an understatement to describe the OTT magic of Gerard’s sequin shirt and Sham’s Rachel Burke tinsel jacket. 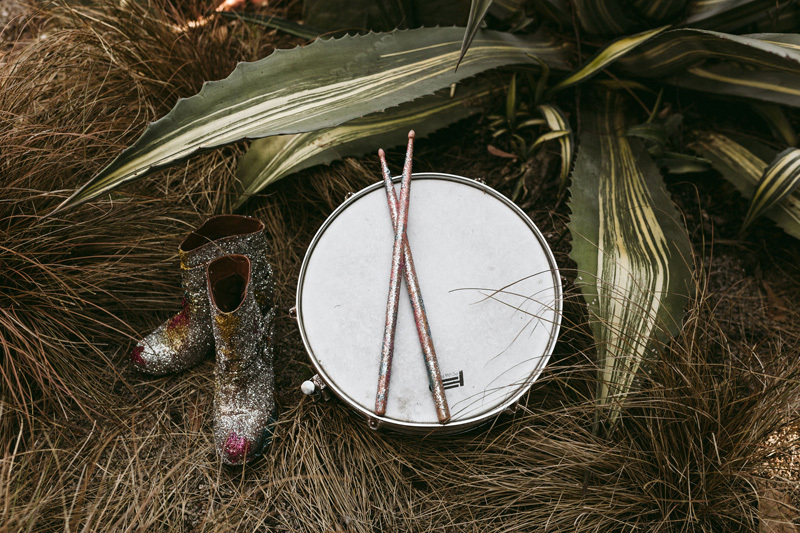 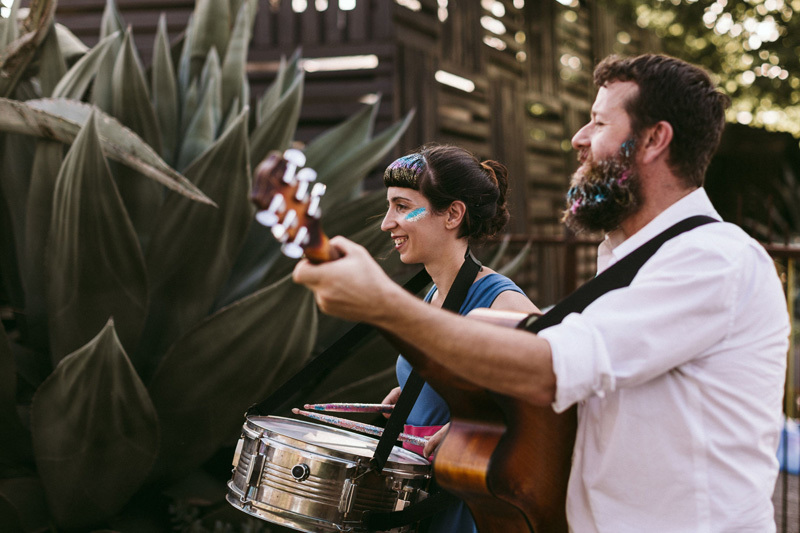 The musicians also added to the dazzle, rocking glitter boots and drumsticks. 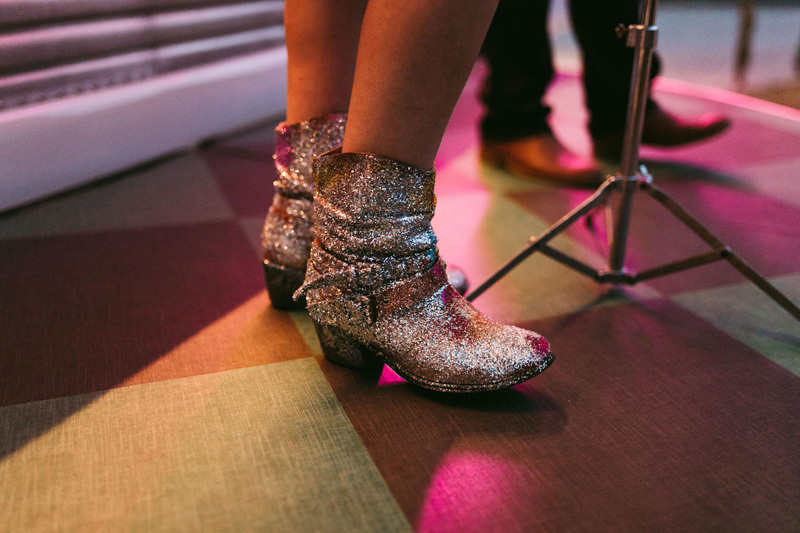 And our favourite detail? 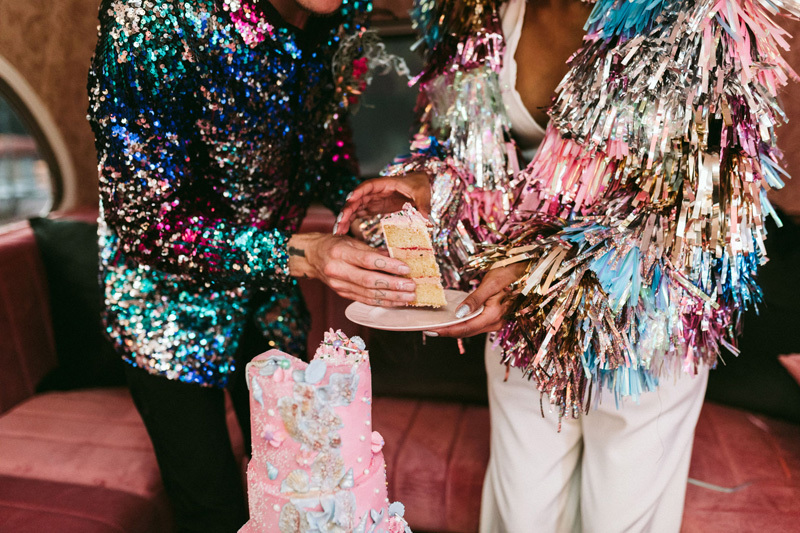 It has to be Fidel’s glitter-filled beard!